When Kate Bush released her fifth album Hounds of Love in '85 it came three years after her demanding but quite extraordinary The Dreaming. Even despite that hiatus – and an earlier gap of two years between Never For Ever and The Dreaming – she was still only 26. She may seem to disappear from attention from time to time, but she was certainly prolific. And always interesting: her lyrics dealt with dreams, myths, cruel aspects of reality, literature and so much more, and her music ran from funk-rock to piano ballads, orchestrated work and touches of world music. Hers had been quite a journey which began when she was picked by EMI at age 16 and mentored towards her The Kick Inside debut in '78 when she was 19. It is interesting to look at her early life to see how she could so rapidly assimilate so much. She attended a Catholic school and later acknowledged that although she didn't consider herself a Catholic the religious imagery affected her. She taught herself piano (her English father, a doctor, played and older brother Paddy was an instrument maker) and was surrounded by arts and creativity: her other brother John was a poet and both brothers played in the local folk scene around East Wickham in Kent. With the EMI advance she took dance and movement lessons with Lindsay Kemp and her band played gigs around South London. She wrote scores of songs in this time. So by the time Bush was ready to record her debut she has accrued a wealth of imagery, musical ideas and just enough live experience to be a confident performer. That she was attractive and articulate certainly helped and it is noticeable that despite her writing many songs about feminine sensuality and sexuality she has most often been interviewed and reviewed by older males (this writer included), frequently for the UK “dad rock” magazines like Q and Mojo. 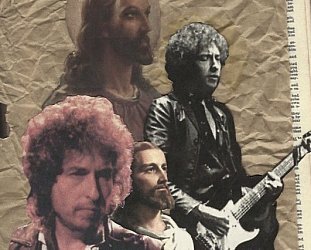 That said, she wasn't interviewed for Karen O'Brien's '95 book Hymn to Her; Women Musicians Talk or appeared in Australia Rolling Stone's '97 special issue Women in Rock by which time she had seven studio albums (five of them top 20 in Australia), two live albums and three compilations released. As with Nick Cave, Leonard Cohen, Bjork and others, Bush is of rock culture yet not really part of it. She would be reviewed alongside albums by Oasis, Nirvana and Rihanna but these were not her musical peers. She had struck out on an individual path and although by The Dreaming – especially with the demanding Dreaming – she had shed much of the audience attracted by that memorable debut single Wuthering Heights. By '85 she seemed to be more respected and admired than actually listened to. But the Hounds of Love album would change that. 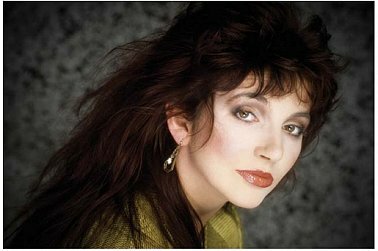 Kate Bush is currently getting a major reissue with all her studio albums remastered by herself with James Guthrie (Pink Floyd’s producer and engineer since 1978). And they come as four box sets of vinyl – with albums of 12'' mixes and other material, or as two box sets of CDs. In the first part of this overview we looked at her first four albums, let's now consider the next three in the second vinyl box. If The Dreaming was the album for determined and loyal followers, Hounds of Love opened the door for more mainstream acceptance. The Dreaming didn't perform to expectation (it didn't sell after an initial rush) but Hounds of Love was the gift that just kept on giving (for EMI and Bush). It went to number one in Britain, was nominated for a number of Brit Awards (among them best album, best producer for Bush, best female artist) and for the first time she cracked the US top 40 rising to number 30. The driving single Running Up That Hill (A Deal with God) cracked radio. For Bush this must have come as great vindication because she produced the album herself in the expensive home studio she'd had built. 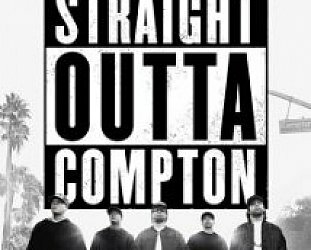 Since its release it has grown in stature. In June 2000 when Q picked their 100 Greatest British Albums Ever it came in at number 20, the only album by a woman solo artist in their top 60 (the next was Dusty Springfield's '65 album Everything's Coming Up Dusty). It was in its own way as ambitious as The Dreaming but was more crafted and refined (and less angry) as she took time out “living a normal life” and explored themes of love, death and English Romanticism in songs which sounded much less forced. The first side was a series of discrete songs starting with the gently hypnotic and rhythm-driven Running Up That Hill and the title track about trepidation in love. Her voice had mostly toned down much of the shrillness which had coloured her previous albums and her pop sensibilities came more to the fore, but without compromise. The natural world was also a key component and infected the mood of songs like The Big Sky, Hello Earth and The Morning Fog. “People commented on the how the album seems very elemental,” she said later. “And I can't help but put quite a lot of that down to the fact that I moved out into the country. The visual stimulus coming in was that of fields and trees, and seeing the elements doing their stuff”. And that locates the album somewhere between pop (the first side) and art music (the second). 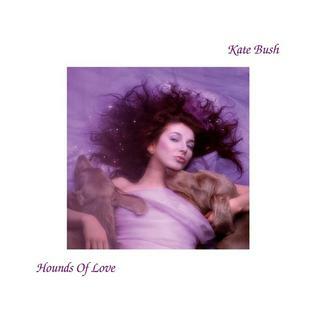 With a large cast – a couple of dozen players, a string quartet and choir – Hounds of Love remains a remarkable work although again no one would say Bush made things easy with that song-cycle which has spoken word interpolations. American Rolling Stone hated it. It may be pretentious at times, veer towards prog more than art music in places (Waking the Witch) and frankly a jig is a jig is a jig (Jig of Life is a drag unless you are an Eirophile) but it remains an album for deep immersion and, despite its difficulties, it was embraced by British, Commonwealth and European audiences. After another lengthy period away from the spotlight – she always shunned media attention and had only toured once by this point – Bush returned with an album under the title which seemed to apply to much of her work. Although she had always commanded the attention of serious musicians this one boasted a spectacular supporting cast which notably included composers Michael Kamen and Michael Nyman (orchestral arrangements), Nigel Kennedy, arranger Bill Whelan, the Balanescu Quartet, jazz bassist Eberhard Weber (who had also been on Hounds of Love), Irish musicians, bassist Mick Karn (of Japan), the Trio Bulgarka, David Gilmour . . . If that sounds like a car crash of egos and celebrities it is among Bush's many gifts that she has such a clear and focused idea of production. The parts interlock and this time the Celtic elements are more refined into the whole. The title track is an immediate winner for its sinuous melody, Bush's whispery vocals which draw you into the narrative (based on Molly Bloom in James Joyce's Ulysses encountering the vibrant reality of life beyond the pages) and the follow-up Love and Anger is as close to a power ballad as she ever came, propelled by Stuart Elliott's drumming and with a guitar wig-out by Gilmour. Reaching Out tracks into similar soundtrack territory with dramatic strings and a lyric which asserts “reaching out for the star that explodes”). Her father does the spoken word part of the airy Fog (where sings “I'm all grown up now”). 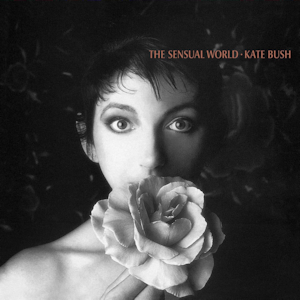 Where previous albums painted on a large canvas, The Sensual World comes off as a collection of coherent and integrated individual songs wound around her familiar themes of Romantic love, lust and cosmic spirituality. And Deeper Understanding (with a disconcerting sound of phone ringing) is about the emotional isolation of people attached to technology. The clunking funk of Heads We're Dancing remains baffling however (Hitler or some doppelgänger as a dance partner? That sounds more Mel Brooks). It was a thematically patchy album but well received at the time but there was again a long silence (filled by a massive eight CD compilation) before her next album, which was a leap up once more. Lead off by the synth-pop of the Rubberband Girl, this final studio album for more than a decade looked like Bush was in fine fettle, but in her (very) private life things were not good: she had split from her longtime partner/bassist Del Palmer Who she continued to work with; her mother a guitarist friend Alan Murphy had both died, she moved home and had married guitarist Dan McIntosh. The sadder aspects of all this are referred to on the swelling piano ballad Moments of Pleasure (orchestrated in grand fashion by Michael Kamen). Again there is large cast (Eric Clapton, Prince, Jeff Beck, Trio Bulgarka again, etc) and her palette broadens again with a shift to African rhythms on Eat the Music with a horn section. Big Stripey Lie is gritty and anxious rock track with Nigel Kennedy's serrated violin and odd effects. 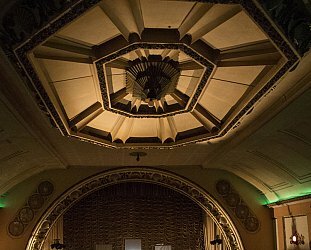 The excitable title track – where she avers in part to her higher register – refers to the British film of the same name about a young ballet dancer and captures the tense excitement of the story. The album -- double vinyl in the box set reissue -- was much admired for its daring (and sold well in the US) but in retrospect Bush was less than convinced: too long she thought, poor sound from her new digital studio equipment. In 2011 she would revisit some of the tracks and rework them for her album The Director's Cut. But that was a long way in the future and after The Red Shoes she would not reappear on a new studio recording for another 12 years. In a new century in fact. And in the interim Bjork -- whose solo debut album was released five months before The Red Shoes -- appeared. It was as if the torch of art music in pop culture had been passed along. 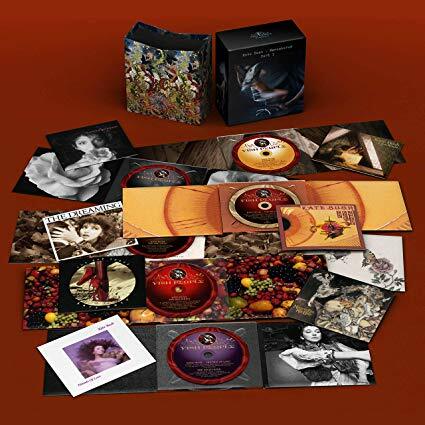 These three remastered albums are in the vinyl box set reissue of Kate Bush currently available through Warner Music. 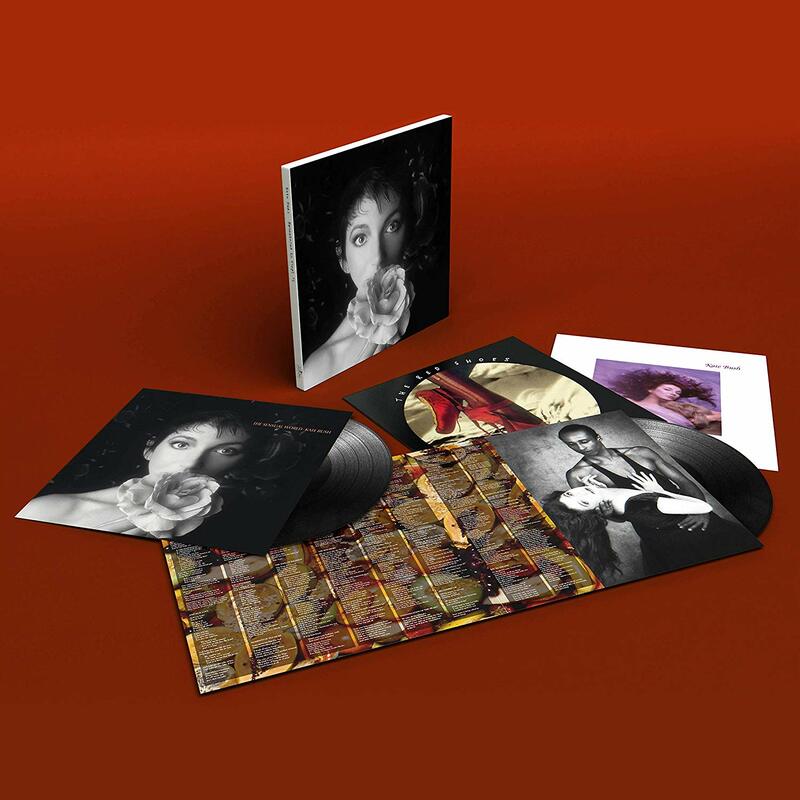 All of her first seven remastered albums to this point – the first four considered here – are also available in a CD box set. I started with Hounds of Love, which came out when I was 17, and worked my backwards, then forwards through her career. 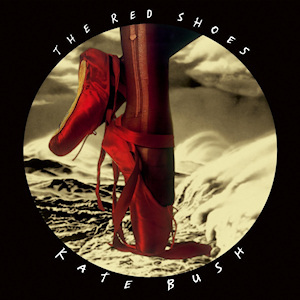 People either get her, or they don't, but I rate Kate Bush as an artistic genius along the lines of Bowie and Peter Gabriel - her missteps are still more exciting than most others' hits. I think the vinyl is beautiful, a big investment for me, but when these first two sets arrived, it was The Dreaming that I went to first. The remastering is stunning - playing it really loud the album's complexity and immersive nature is fully realised. Now I just need to save up for the third and fourth boxes. I started with Hounds of Love, which came out when I was 17, and worked my backwards, then forwards through her career. 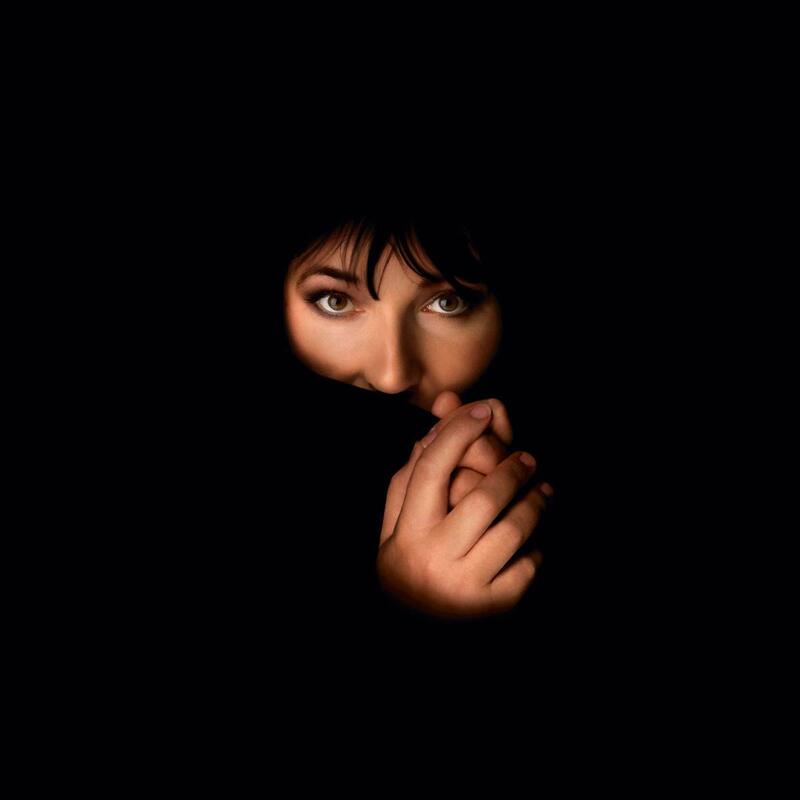 People either get her, or they don't, but I rate Kate Bush as an artistic genius along the lines of Bowie and Peter Gabriel - her missteps are still more exciting than most others' hits. I think the vinyl is beautiful, a big investment for me, but when these first two sets arrived, it was The Dreaming that I went to first. The remastering is stunning - playing it really loud the album's complexity and immersive nature is fully realised. Now I just need to save up for the third and fourth boxes.